If you haven’t been able to tell, I have recently been really into one pan dinners. Why? Because all I have to do is chop and bake. 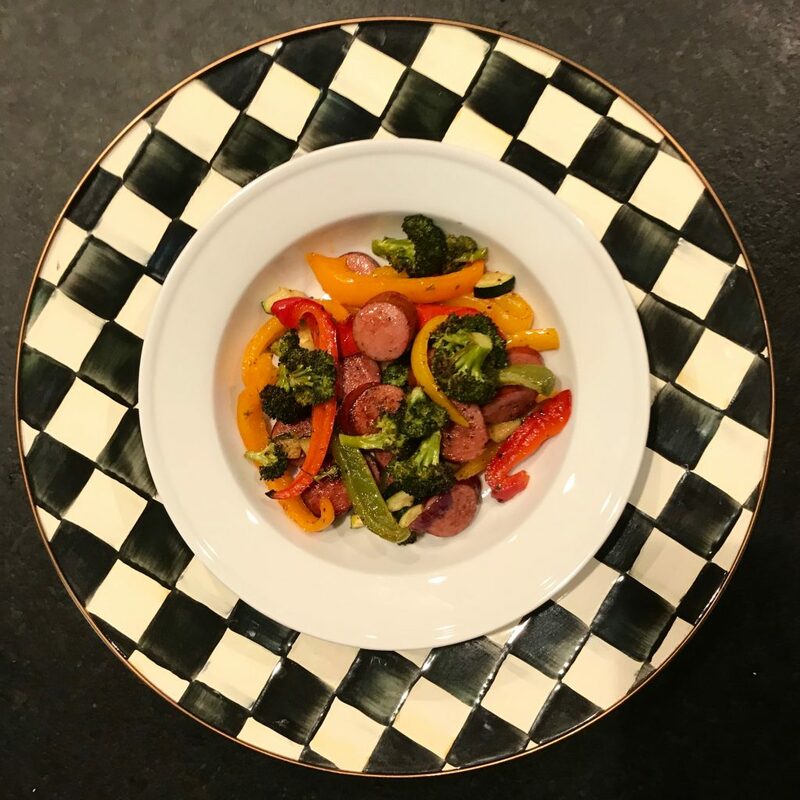 So today, I am sharing my new favorite “Oh S*** I Need to Make Dinner” recipe: One Pan Sausage and Roasted Veggies. It’s quick to whip up, extremely easy to clean up, and so dang delicious. Something else I love about this recipe is how creative you can be with it. I love smoked polish sausage, but if you are looking for something leaner, turkey or chicken sausage will do the trick! Or something spicy: how about Italian sausage? The other great thing: make it with any in-season veggies! I can’t wait to do this in the fall with different types of squash. Anyways, enjoy this recipe because I definitely have! 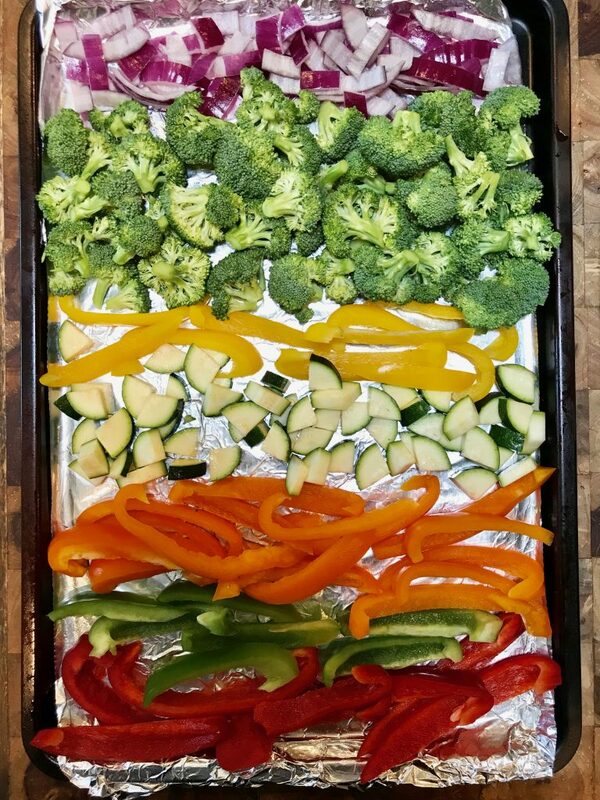 Prepare all veggies and sausage and arrange on a sprayed or non-stick tray, the bigger the better. The more spaced out everything is, the crispier it will get. Lightly coat with olive oil and toss with spice mixes. Bake for 15 minutes, remove from oven and stir the veggies around, flipping some to make sure they are evenly baked. Bake for another 10-15 minutes, or until desired crispiness level is reached. Serve with brown rice, quinoa, or cauliflower rice.